Few people are aware that the mighty Namib Desert extends into southern Angola. 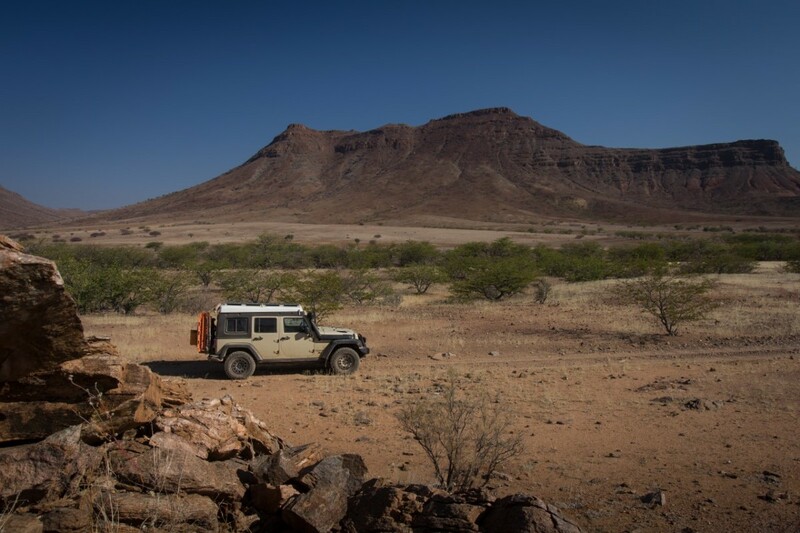 This seldom-visited region lies in the very remote south-western corner of Angola, straddling the border with Namibia. My paper maps and GPS show virtually no roads, and not a single town for many hundreds of kilometres. 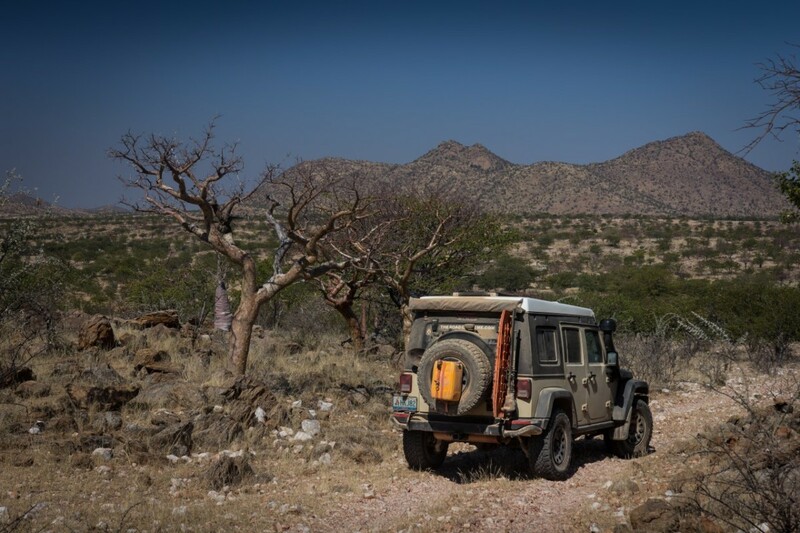 I intend to take a route through some of the most remote, and least inhabited, terrain on the entire African continent. To increase my maximum petrol capacity, I strap a 20-litre container to the spare wheel. Together with the stock tank and my Titan Transfer Tank, I now carry a touch over 150 litres of petrol. On good roads, I should manage 1200km, although I expect a week of deep sand, so the actual range will be much lower. Before leaving town, I also fill my water tank until it overflows, and buy all the tinned and dried food I can find. Adding another 20-litre fuel container upped capacity to 150l. Angola is famous for the civil war that raged virtually non-stop for 27 years – one of the most brutal the world has ever seen. Initiated immediately after independence at the height of the cold war, pro and anti-communist forces in Angola set the stage for a proxy war between the United States and the USSR (Russia). Both sides supplied weapons and money to their respective fighters, allowing the war to rage much longer than it otherwise would have. All told, over 500 000 soldiers and civilians were killed. Since peace was declared in 2004, Angola has done a great deal to rebuild and move forward, and it is clear that locals are extremely happy now to be finally living in peace; they just want to get on with life. During my six weeks in the country, literally hundreds of people have come up simply to welcome me and shake my hand. Even with the language barrier − due to my lack of Portuguese − every single person smiles warmly, and I genuinely feel that they are proud to have me in their country. 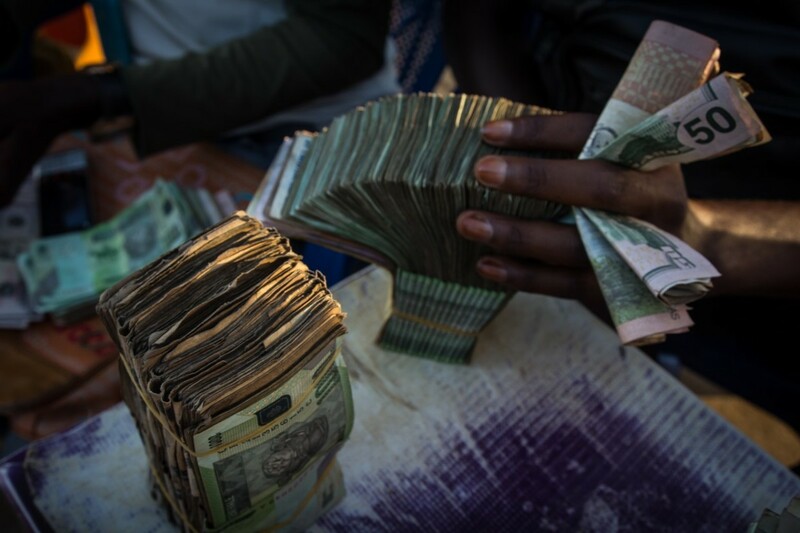 Stacks of Angolan Kwanza at the money changers. During the war and the years that followed, the country was completely closed to foreign visitors. 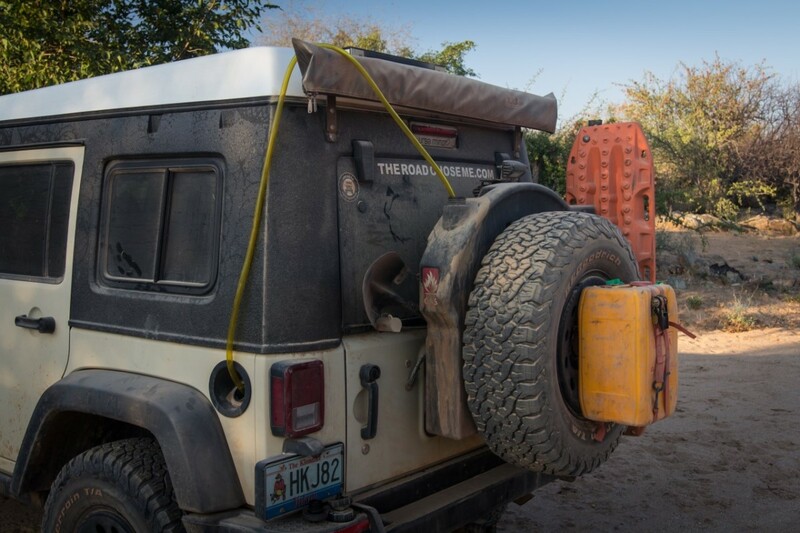 Obtaining the Angola visa has long been the most difficult logistical barrier for overlanders on the West Coast, although it seems that things are finally changing. I was granted a one-month visa in the Congo, and even more recently have heard that some nationalities can get the visa on entry at the border. 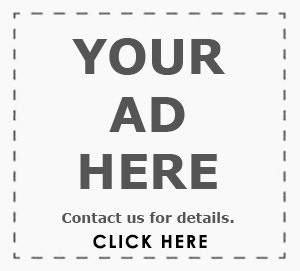 Landmines are still a serious problem in Angola; more than two people a day are still injured by the millions of mines that are estimated to be buried. 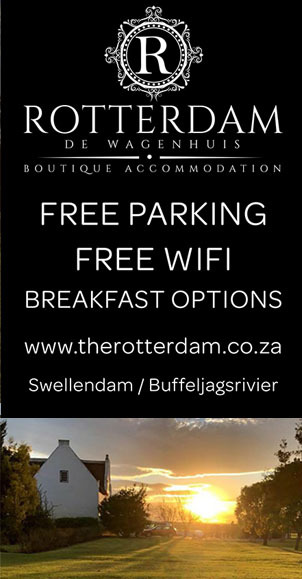 On paved roads, I’m not worried; and on gravel roads, I try to keep the tyres of the Jeep in the ruts. When camping, I never venture far from the road, and am happiest when I see soil that has recently been churned up by heavy machinery. Walking through long grass is a definite no-no, as is exploring abandoned buildings or vehicles. Widely believed to be the oldest desert in the world, the Namib contains some of the driest regions on the planet. Sand dunes in the Namib can grow up to 300 metres high and 30 kilometres long, making them the second-largest in the world. In total, the Namib stretches 2000km along the South Atlantic coast, through South Africa, Namibia and Angola, and covers 81 000 square kilometres. Locally, the region I am exploring in Angola is called the Moçâmedes Desert. While still within 20 kilometres of the last town, I find myself travelling through the most spectacular and varied desert landscapes I have ever seen. From wide open sandy sections with distant dunes, to rocky canyons and small rocky mountains, the desert is always shifting. Just as I get used to one landscape, in the course of a few kilometres, everything around me changes. The tracks I find are easy enough to follow and, surprisingly, the sand is never very deep – certainly nothing the Rubicon can’t handle. 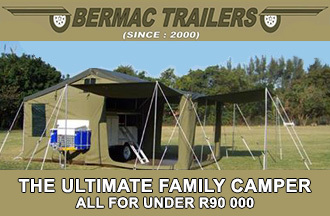 Each afternoon, I simply pull off the track, and make camp. I never see another vehicle the entire time I’m in the desert, so having visitors in camp is not something I worry about. 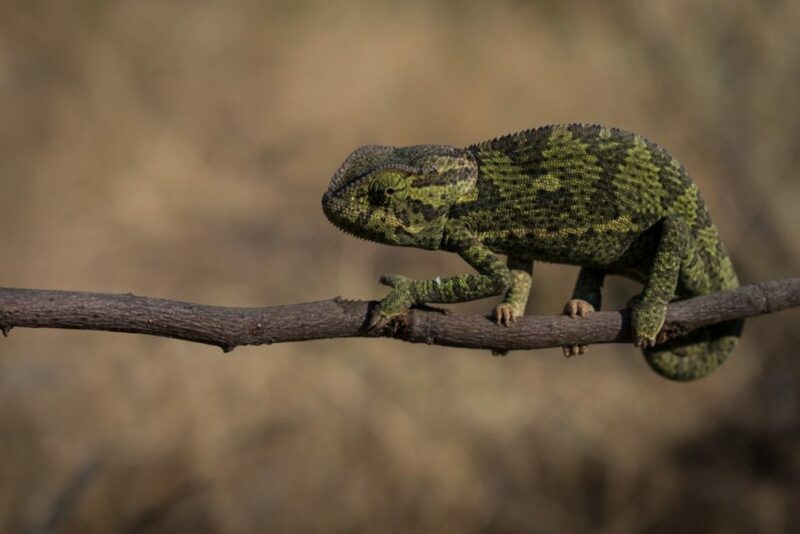 Many species of chameleon are in evidence. Fascinating creatures. 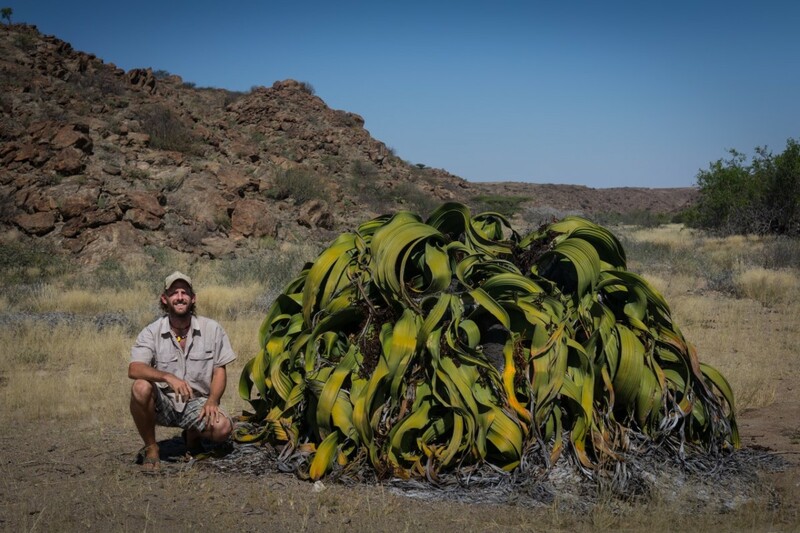 While exploring, I locate a natural hot spring, and what is possibly the world’s biggest and oldest Welwitschia plant. These plants can be over 2000 years old, and are fascinating. They are considered a living fossil, and are found only in the Namib Desert. They are usually barely 30cm high, so this ancient example is a sight to behold. The stars at night are staggering, and the silence in the desert is absolute. I find it extremely comforting to spot the Southern Cross so quickly each evening, the pointers being some of the first stars visible. It has been many years since I lived in Australia, and in this arid desert with the familiar constellations, I feel like I have come home. I make a point to walk up any nearby hills at sunset and sunrise, times when the scorching heat of the day mercifully fades away. The nights are clear and cool, and I genuinely enjoy feeling cold for the first time in a year. 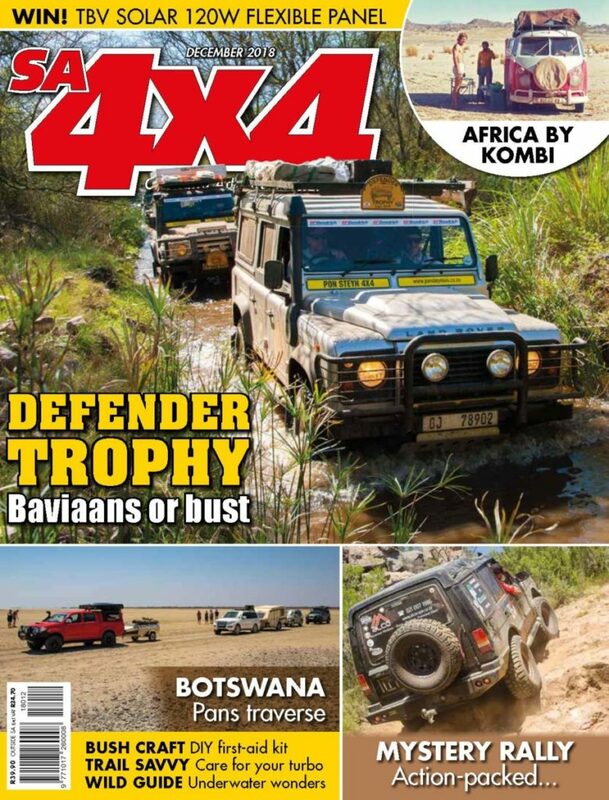 For the rest of Dan’s adventure through lesser-known Angola, be sure to grab a copy of the December issue of SA4x4 Magazine!